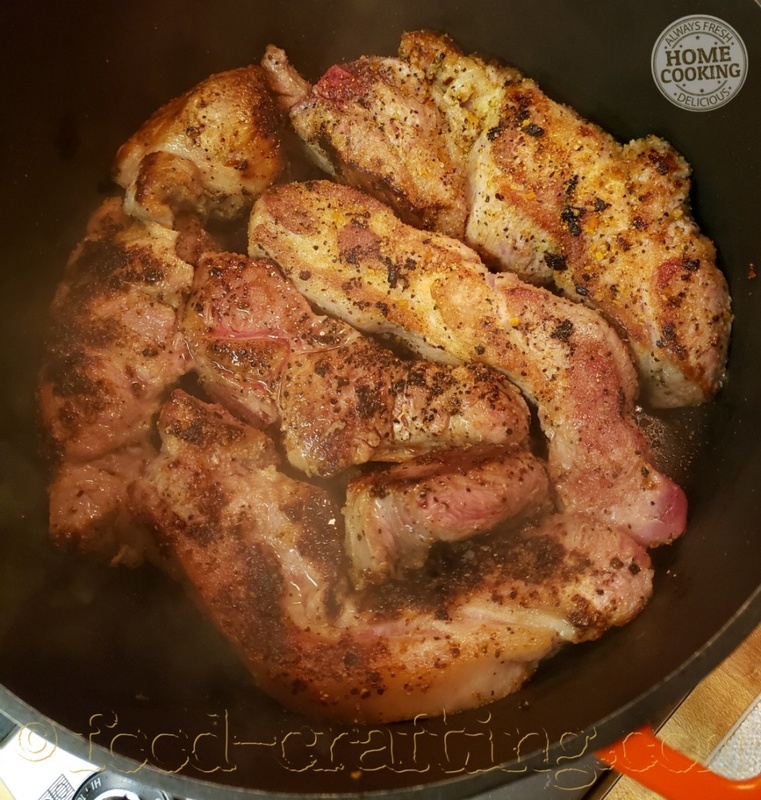 Braised Country Style Pork Ribs – We were going to eat out on Saturday night until I remembered my $5.00 pack of country style pork ribs. When I spotted the Manager’s Special at the supermarket earlier this week, there was no specific recipe in mind. Menu ideas included my Pennsylvania Dutch pork ribs. I could also slow cook them as usual to fall apart tender and perhaps coat them with a thinned BBQ sauce. It all seemed like too much work so I concocted this recipe. Pin the recipe! Sometimes you just don’t want ribs in BBQ sauce. And yesterday was one of those days. I was SO tired that I had to come up with the simplest way to prepare country ribs. Why not create your own seasoning mix for country ribs or chops? 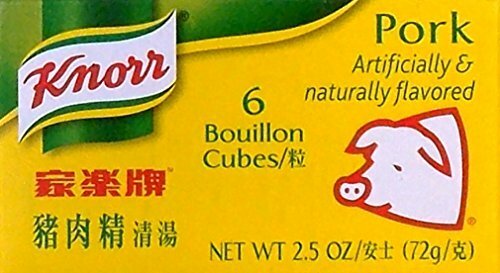 Pork is a meat that easily lends itself to a variety of seasonings. Think of the worldwide famous recipes such as Hungarian Paprikash and one of my favorites – Pernil Asado con Mojo aka Cuban pulled pork. 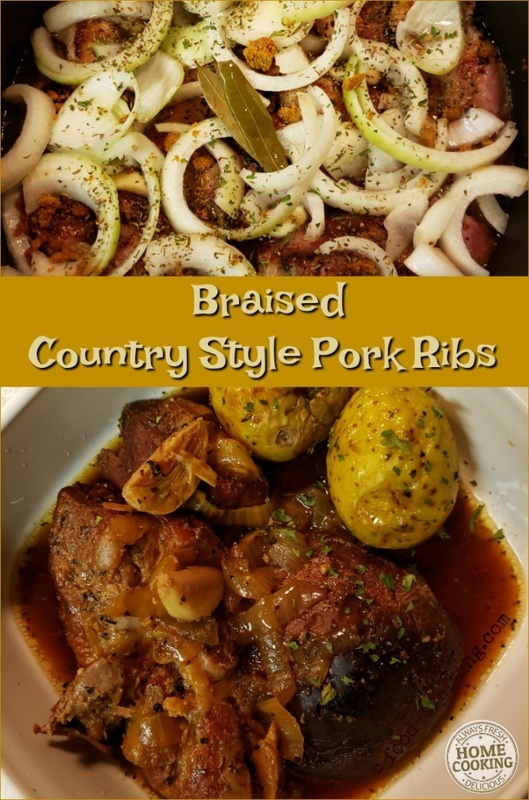 Both these recipes use combinations of the spices and herbs found in basic barbecue seasonings: garlic, onions, oregano, coriander, cumin, and paprika along with salt and freshly cracked pepper. Paprika (regular or smoked) is what gives the sauce in this recipe its deep color and smoky flavor. 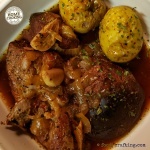 Yes, this recipe can be made in the slow cooker as long as you brown the meat first. The only issue with the slow cooker method is that it takes longer to prepare. Even if the crock pot is set to high! Stove top in a heavy Dutch Oven pan is the only way to go. Don’t get me wrong. This is not a super quick recipe but it is super easy and requires a minimum of ingredients. How to make country style ribs without BBQ sauce! Start with a dry pan. Pat the meat dry with paper towels. No need for olive oil or any kind of fat to prevent the meat from sticking to the pan. There is sufficient fat in country style ribs. Heat the pan over medium-high heat and place a couple strips of meat in the dry pan. I had to brown the meat in two batches. When country ribs are on “special” – buy some and make an economical super easy meal for 4! Braised country style pork ribs are perfect for the first cool days of Fall. Steak seasoning, season to taste. Layer the meat evenly in the bottom of the Dutch oven. Distribute the garlic cloves evenly across the pan. Place some garlic cloves between the pieces of meat. Sprinkle apple cider vinegar around the meat. Crush the bouillon cube over the meat and pour water along the sides of the pan. Cover and simmer on low for about 2 hours. I did not move any pieces of meat or rearrange the pan contents during the cooking process. Why? Because was half asleep! Time To Add The Mushrooms! When the meat is tender, place the mushroom caps cap side down over the meat. Lightly Salt the inside of the mushroom caps. Cover and cook until the mushrooms are tender – about 20 minutes. The mushrooms render quite a bit of liquid as they cook so there was plenty of gravy for those who love it. If you care to thicken the gravy, use a tablespoon of cornstarch diluted in 1/2 cup of water. Pour around the pan and swirl to distribute evenly. It should thicken the pan juices almost immediately. Potatoes can be steamed during this same time frame. 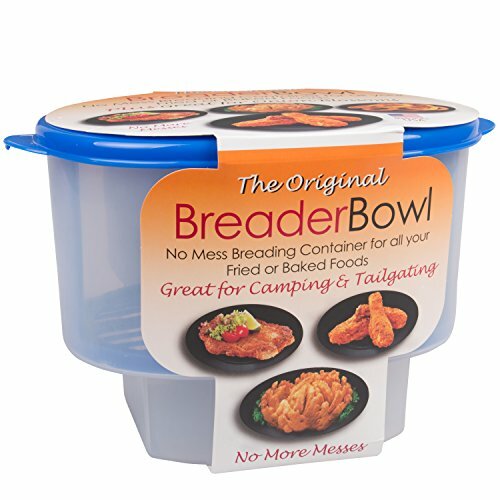 1.1 A Custom Seasoning Mix? 1.2 How to make country style ribs without BBQ sauce! 2.3.1 Time To Add The Mushrooms! 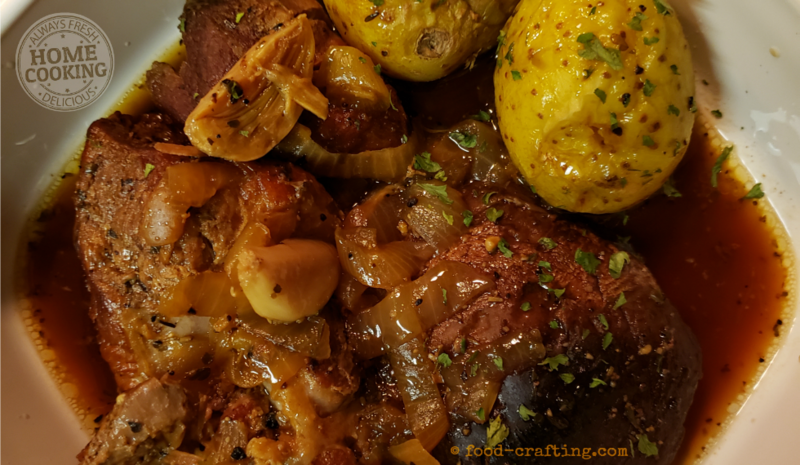 Previous Post Apple Cider Vinegar Beef Marinade: Huge Flavor For Roasts Next Post French Poule Au Pot Soup: Easy Instant Pot Meal King Henri Would Savor Any Day!